Issues with disclosure are the #1 cause of home sale lawsuits and if the seller gets sued, so will their agent. Our Smart Seller Tools™ and interactive online disclosure process are designed by legal experts to prevent lawsuits and limit agent liability. And, our optional Home Sale Legal Protection™ offers sellers peace of mind if a claim is made. 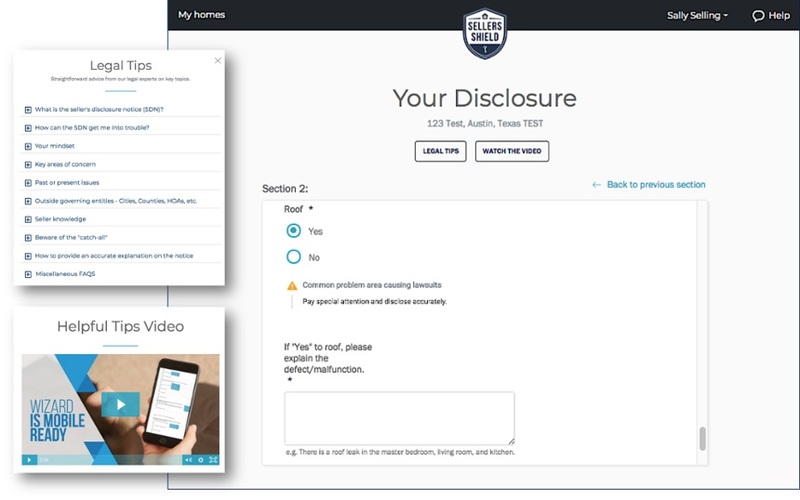 Our Smart Seller Tools™ include an instructional video and legal tips that provide an easy-to-understand reference and straightforward advice on how to properly complete the seller's disclosure form(s), preventing critical mistakes. We've made your local disclosure form(s) interactive. Our legal wizard highlights key areas of concern and defines terms throughout the form(s), stopping lawsuits before they happen. Sellers can easily access and edit their form(s) at anytime. *only available in TX, CA, OK, MD, OH, NV, NC, SC. Home Sale Legal Protection™ for sellers...peace of mind for pennies of the sale. Even if clients disclose accurately, problems in the home after closing can cause a costly buyer dispute and the seller's homeowners and umbrella insurance won't protect them in the claim. Stop hassling your clients for incomplete and illegible hand written forms. Invite clients to disclose in one click, then we send them an access email and take it from there, saving time and limiting your liability. 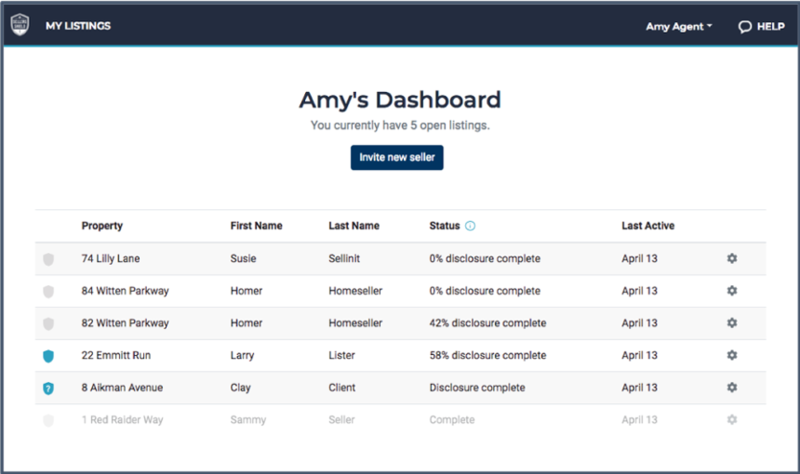 You can track the entire process and manage all your listings in one easy-to-use dashboard. Access and store fully complete and custom formatted PDFs. Our Premium Agent plan provides a professional and fully branded experience for you during your client's disclosure process.